"Also in Nadal's favour is the comparison between the two players, when looking at grass data. 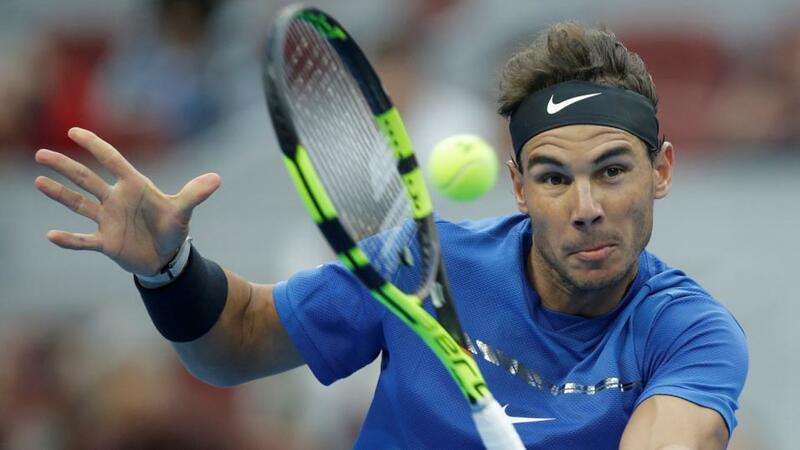 Despite Del Potro having the perceived stronger serve, Nadal has held 4.8% more at Wimbledon 2018, and broken opponents 10.8% more"
We have a mouthwatering selection of ATP action today, with big names, or big-servers, guaranteed in every single match of the quarter-finals. Action gets under way at 13:00 UK time, with Novak Djokovic and Kei Nishikori meeting on Centre Court, with Roger Federer's meeting with Kevin Anderson rather controversially being scheduled on Court One. I'm not of the view that a player's court particularly matters, unless I'm assessing a different court speed between courts which can then be applied to improve accuracy of pricing, so the speculation of court scheduling matters little to me. Federer, however, has retained tournament favourite status throughout the event, and currently stands at [1.91] on the Exchange to lift the trophy on Sunday afternoon. Novak Djokovic, at [5.1], and Rafa Nadal, who is available at [6.6] look to be his main contenders. I'm rather torn between viewpoints for Federer's match with Kevin Anderson. Firstly, grass data doesn't show there to be a huge chasm between the two players, with Federer actually winning 0.7% less service points than the giant South African in the last 18 months on grass. Federer does have a strong edge on return though, winning 7.2% more return points on the surface, but it's difficult to justify market prices of [1.09] on the Swiss legend purely on this basis. Despite this, the ease that Federer has swatted away the threat of Anderson in their previous meetings will be a worry for anyone considering siding with the heavy underdog here, with Anderson winning a mere 24 games across eight sets in four head-to-head matches, which Federer has taken in straight sets on every occasion. Closer examination of these head to head matches shows Anderson has won just 55.8% of service points against Federer, so it would appear that Roger has been able to disarm the fearsome Anderson serve with relative ease in the past. With this in mind, it's tough to recommend a strong position on Anderson here, and I much prefer another today, in any case. Prior to that though, I'll run through my thoughts in the other early match between Djokovic and Nishikori, with the Serb chalked up as a [1.16] favourite, at the time of writing. I think this is about right, with Djokovic impressing so far in the event, and having much better grass data in general. In addition, he has dominated the Japanese player in previous meetings, and in those during the last three years, which he has won all ten, he's been able to tear apart Nishikori's serve to the same extent Federer has done with Anderson's, restricting Nishikori to 55.0% service points won. With my model making the market prices accurate, I'm happy to move on to the scheduled 15:00 start matches. Rafa Nadal is a [1.42] favourite to get past Juan Martin Del Potro, and this is the line that I feel is value. My model priced the Spaniard at [1.24], and while they haven't met with regularity recently, Nadal does enjoy a 10-5 head-to-head lead. Also in Nadal's favour is the comparison between the two players, when looking at grass data. Despite Del Potro having the perceived stronger serve, Nadal has held 4.8% more at Wimbledon 2018, and broken opponents 10.8% more, so has had a better tournament so far - although it's worth noting Del Potro has underperformed for converting break points. Looking at grass data over the last two years, Nadal still retains the edge on serve, holding 91.6% to Del Potro's 86.0%, and breaking opponents 31.5% to Del Potro's 23.7%, so we can see that Nadal - despite his distaste for grass - is still far above his Argentine rival on the surface. The game handicap market is still forming, but if you can get in excess of [2.30] on Nadal -5.5 games, which is the general market pricing, that looks a decent position. In the absence of this, purely taking the Spaniard for the win at [1.42] can also be considered. Finally, we have the big-serving clash between Milos Raonic and John Isner to discuss, and with both players having projected hold percentages well in excess of 90%, breaks of serve will be of extreme rarity. In fact, it wouldn't be absurd to consider that a potential fifth set could be of epic duration, although it would still be a stretch to think it is likely to get towards Isner's record 70-68 fifth set victory over Nicolas Mahut in 2010. Raonic is a [1.72] favourite to triumph, and with a slightly better return game than his American rival, this looks about right. However, Isner isn't without a chance here, and the victor will almost certainly need to take his chances in a number of tiebreaks.